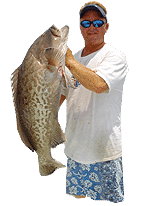 Home / Fishing / Fishing Videos / Golf-Fishing – A New Sport? Golf-Fishing – A New Sport? My charter clients always ask me, “What do you do on your days off”? The answer is usually some kind of one word answer like “Fish”, “Drink” or “Sleep”. Although any of these answers could be my typical activities on a day off, the more truthful answer should likely be “Honeydoos” or “Boat and equipment maintenance”. Ironically, both these answers, but more so the latter, would likely require some sort fisherman’s ingenuity, also known as redneck engineering. Which brings me to the ingenious redneck engineering used by Alden Redwine and Christian Payne. These two up and coming dock rats engineered the new sport of Golfshing. A bunch of us were gathered at Skip and Theresa Harris‘ house for Skip’s 70th birthday party. Being under the legal drinking age and probably having heard all of our boring old stories before, these two boys started tinkering in the garage. What they came up with is likely going to earn the pair a Nobel Peace prize in the field of redneck engineering. 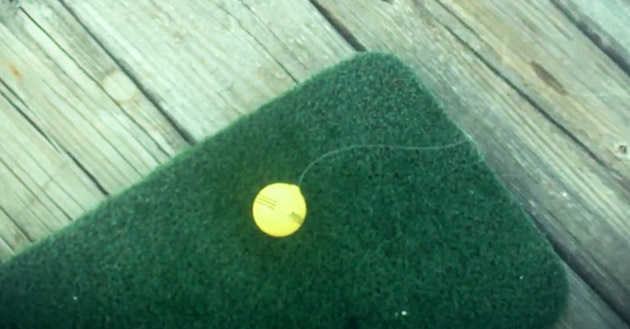 They figured out how to attach a golf ball to fishing line so it could be retrieved via a rod and reel. What ensued on the dock was entertainment for all, young and old(er). Attention: no marine mammals or humans young or old were harmed in the filming of this video. Human pride and dignity are a different story… Enjoy! Capt. Scott Bussen was born in West Palm Beach, Florida, and wanted to do nothing but fish since he could walk and talk. He spent his earliest years harassing his family members to take him to the pier or the boat ramp so he could catch something. After almost a year in Key West, the Bussen family ended up in Cape Canaveral, Florida. The under-developed Space Coast provided a plethora of opportunities for the 10-year-old angler with a bike, fishing rod, cast net and bucket. Teenage years brought new opportunities in the form of deckhand gigs on charter, party and some commercial boats. After fishing his way through college to a bachelor's degree in business management, Scott had a short stint in the corporate world. The magnetic pull of life on water was too much and led to a one-way ticket back home. In 1998 he bought his first boat and started his own business. While fishing the original Relentless, he worked on rebuilding his new boat the Relentless II. He put the Relentless II in service in 2003 and added charter fishing to his business plan. Since then, he has taken countless clients out and let them fall in love with the ocean. 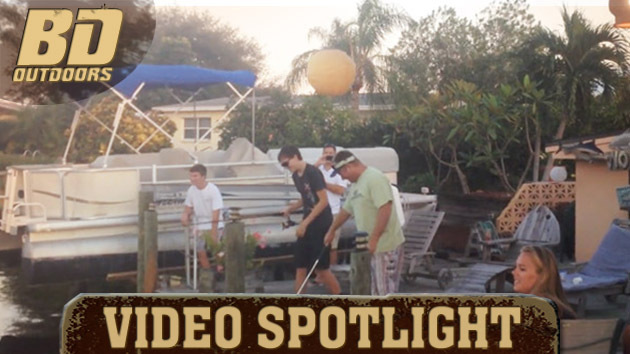 To find out more about fishing with Scott, visit www.fishrelentless.com or call 321-863-2838.